easily accessible by car, plane and train! Cozy rooms, free Wifi, private parking, restaurant, bar.. All you need for a great stay! Several types of rooms at the best price ranges! 2- or 3-star hotels, with rooms for 1, 2, 3 or 4 persons: find your perfect room! Whether you come for relaxation and culture or for business, Luxembourg has so much to offer and to discover: from the visit of the Grand-Ducal Palace Casino Luxembourg - Contemporary Forumd'art through the Notre Dame Cathedral. Don’t forget the Bock casemates, the remains of the walls that had made Luxembourg one of the most fortified cities in the world. Want to exercise while visiting? Take a ride on a Segway! 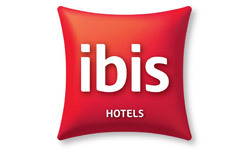 The complex ibis Luxembourg Aéroport offers a perfect location for business or leisure. Not far from the European Business Centre Kirchberg, facing Luxembourg airport and close to the Luxexpo exhibition center and the European institutions, the hotel also offers easy access to the city center and is an ideal starting point to explore the natural beauty of Luxembourg, the Moselle valley and the Ardennes. 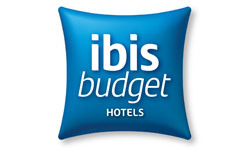 Book one of the 157 air-conditioned rooms with WiFi access, including family rooms at the Ibis Luxembourg Aéroport hotel or one of the 71 rooms at ibis Budget Luxembourg Aéroport. Restaurant, bar, fitness center, free parking during your stay and two meeting rooms will meet your needs. A free shuttle to the airport and Kirchberg is available every half hour from 4am to 11pm (upon request).